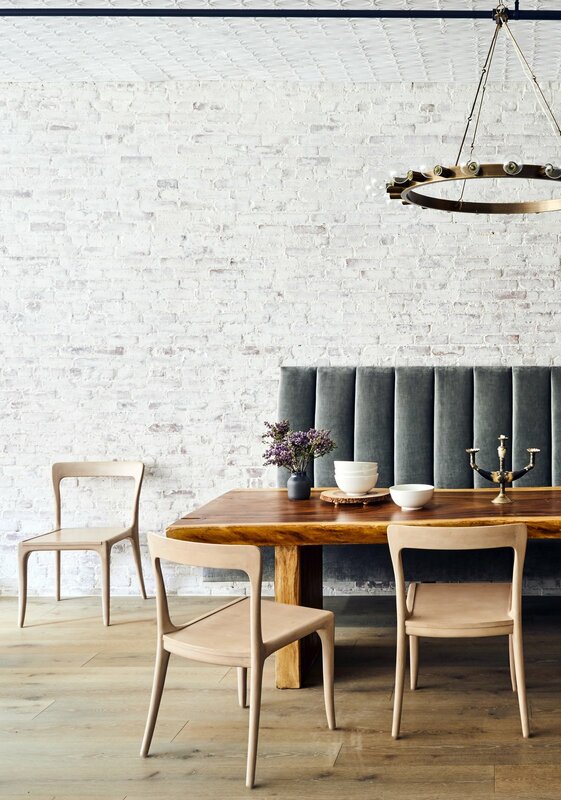 A custom designed built-in tufted banquette creates a soft, lush seating area at the live edge dining table. The velvet upholstery contrasts the exposed white-washed original brick in both texture and era. Overhead a brass chandelier with exposed Edison bulbs references the former Swan Incandescent Electric Light Co. which occupied the loft after construction was completed in 1897.